Happy Humpday! New Wednesday Picture! I took this last year when I was looking for something interesting for a short story. 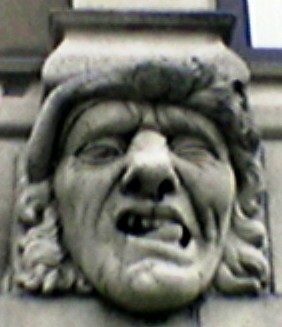 I ended up writing a short story based on this gargoyle (found in Unrelated: A selection of short stories). Have you created a story, painting or sculpture based on art you saw?